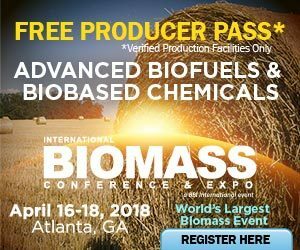 The U.S. EPA released its final rule for renewable volume obligations under the RFS Nov. 30, and the Trump administration's first final rule is a big disappointment for biodiesel producers. The rule stalls biodiesel volumes at 2.1 billion gallons. RICanada launched a public awareness campaign on the environmental and economic benefits of biofuels mandates. Dubbed Facts Don’t Lie, the campaign is designed to educate the public on how biofuels reduce carbon emissions from transportation. The U.S. International Trade Commission determined in a 4-0 vote that the U.S. biodiesel industry is materially injured by biodiesel imports from Argentina and Indonesia, which the U.S. Department of Commerce previously determined are subsidized. With more private and government fleets using biodiesel than ever before, it has never been more important to learn about the basics of cold flow improvers—why they are needed, how they work, and the various options for different applications. The National Biodiesel Board is pleased to announce that Kurt Kovarik, a senior adviser and legislative director of U.S. Sen. Chuck Grassley, has accepted the position of vice president of federal affairs at NBB. Kovarik will join NBB in January. The Chicago Area Clean Cities Coalition has announced its Green Fleet Leadership Award winners for 2017 and has named the American Lung Association as its Clean Fuels Champion for 2017. The awards were given at the CACC Coalition's annual meeting. Data from Propel Fuels and ICF indicates consumers will make low carbon purchasing decisions if given the opportunity,. However, the research shows the current policy model must change to allow more low carbon capable vehicles to enter the market. PHYCO2 will collaborate with Michigan State University under a $1 million U.S. DOE grant to develop technologies to transform the efficiency and operating costs to reduce power plant emissions of CO2 and create marketable chemicals. The board of the California Biodiesel Alliance, the respected voice for biodiesel in the state since 2006, has voted to broaden the scope of membership to include advanced biofuels. The new name is the California Advanced Biofuels Alliance. On Dec. 7, U.S. EPA Administrator Scott Pruitt appeared before the House Subcommittee on Energy and Commerce to provide testimony on the mission of the EPA. The Renewable Fuel Standard was among the topics discussed during the hearing. While in Washington, D.C., to advocate for U.S. biodiesel industry jobs, National Biodiesel Board members selected their trade association leadership Nov. 30. The board reflects the wide range of member companies in the biodiesel industry.